When the Video Poker Machine Hesitates – What Does It Mean? We have all been there – those of us who play Video Poker and Slots. You’re playing along, things are going well, and then it happens……the machine pause for a moment! What does it mean? Was I winning too much? Did someone in the “Office Upstairs” turn on that switch that changes winning into losing? Well, you know what it means? NOTHING! At least it isn’t a reaction to ant success you’ve had previously. Yes, we think it might have stopped our winning momentum, or the rhythmic luck we had our mojo in, but nope – it doesn’t have a clue how much you were winning or how your mojo was – it’s a machine and it doesn’t have the consciousness or emotion to care! A 1980 IGT Video Poker machine. So, what DOES IT MEAN? 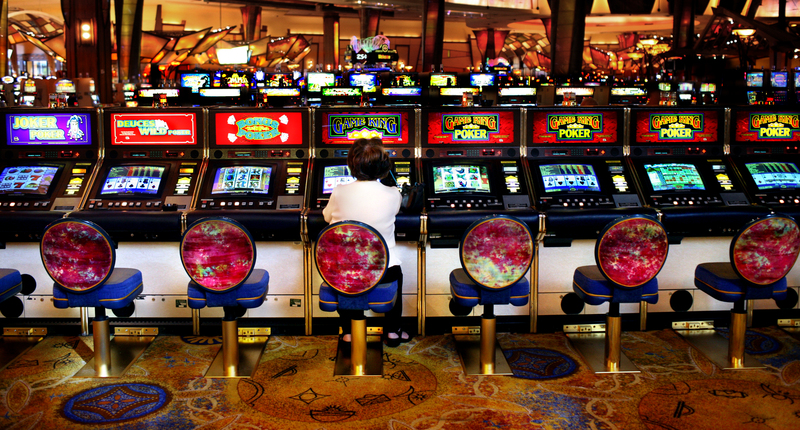 Well, certain machines – especially certain generations of Video Poker machine manufactured by IGT – pause every so often to do it’s accounting. In other words, the counting of hands played, coin in & coin out, for example, are kept in short term memory. On the IGT VP machines, for example, every 100 hands, it is downloaded into long-term memory, much like your computer does at times. The more games and denominations on a single terminal, the longer it may take – a single game with a single denomination would be barely noticed. You will find fewer and fewer machines with that hesitation these days, due to better software upgrades. Of course we, as human beings, may notice it happen when we are winning, and shortly after we start losing. “They must have known I was winning!!! !” you might yell. But, seriously, nothing could be farther from the truth. CT’s Third Casino, An Underwhelming Reality?